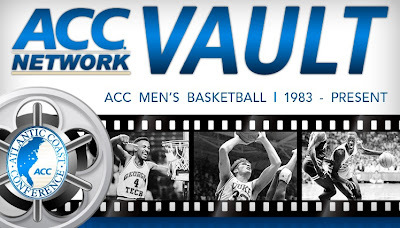 The ACC and Raycom Sports announced today the launch of the ACC Vault, an online video archive of full-length, classic Tournament and regular season men’s basketball games from all 12 ACC member institutions. With a comprehensive and easy to navigate design, the ACC Vault will allow fans to access and view many of the greatest television moments in ACC Basketball history. 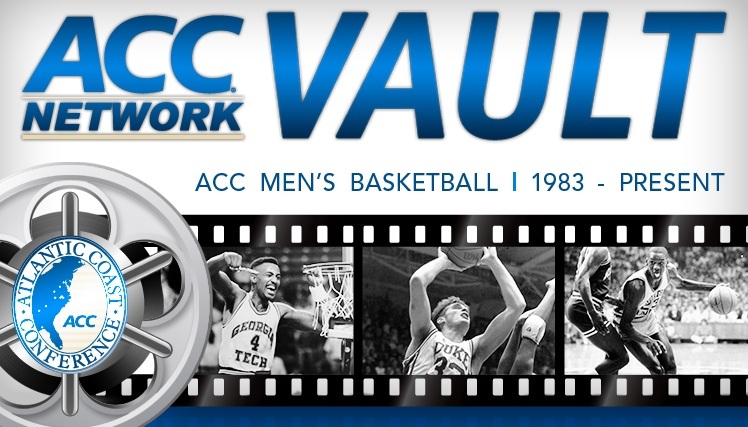 The ACC Vault features video dating back to 1983, including the ACC Tournament Championship Game from every year. 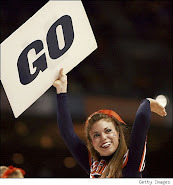 The games have been coded within the ACC Vault in play-by-play detail, enabling fans to jump to specific game moments, view the video, and share via Facebook, Twitter, email and other social channels. Users can also explore categories such as great blocks, great finishes, and ACC Stars. In addition to games, the Vault includes special features, such as classic interviews with iconic coaches and players. After launch, a selection of “Instant Classic” games from the 2010-11 ACC Men’s Basketball Season will be added to the site.